While putting together Part 2 of this piece, I came across a recent article written about Vannelli. There was a quote that stood out that plays through my head. In it he said, “Passion operates on its own frequency.” It has a nice ring to it! I definitely believe it is needed in order to gain any kind of respect from your audience. Gino made mention of this zeal when discussing his latest stay in Holland and his involvement with several Dutch jazz musicians. Gino continues to be busy creating new musical works that to me compare with fine art. He is currently working on an album that, if all goes well, will be out this October or November 2008. Many of his loyal fans are anxious to see what Gino has discovered and created this time around. It will be the follow up to his 2006 release, These Are the Days… Prior to that he came out with Canto in 2003; a musical foray into a more classical endeavor sung in a combination of Italian, French and English lyrics. Slow Love in 1998 and Yonder Tree in 1995 were more jazz influenced releases. 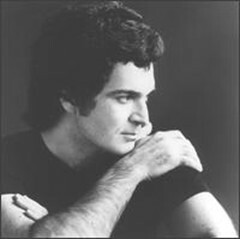 For 17 years, Gino Vannelli has experienced a very successful and consistent career. Since 1973’s Crazy Life, his music has gone through many changes, reflecting the fact that the times and the methods people use to express themselves have progressed. With his latest release, Inconsolable Man, Vannelli enters his career’s third decade, proving he still has the skills to survive music’s turbulent moments. In 1974 he received his first Grammy nomination for “Powerful People”. Then came his nomination for best pop performance for “I Just Want To Stop” in 1978. As well, he has received five consecutive Juno awards as Canada’s number one singer. In the 80s he scored hit singles with “Living Inside Myself”, “Black Cars”, and “Wild Horses” in 1987. In that same year he and his brother Joe won recording engineer of the year. With his new release Vannelli mixes a bit of the old (by retaining some of the feel he maintained throughout the 80s) with currently available technology. As a result, the record has more of an R&B feel to it, and we get to see a truer side of the man’s personality. He dwells more on the human condition, expressing current themes that exist in today’s society. Stylistically somewhat different, songs like “Should I Lose This Love” and “The Jokers Wild” set this release apart from his previous recordings, and I don’t think Vannelli would want it any other way. Speaking to Vannelli at his home is Los Angeles; he had a soft-spoken, relaxed, and sensitive attitude. “I always try to keep my ear trained and my heart open to the possibilities of music”, he commented. There appears to be a side to his character that needs to break free. As time goes by, certain things have dictated a degree of change, and for one reason or another these changes may have prevented him from touring. But certain technological modifications, along with a change of heart, have propelled him back to the stage after a 12-year absence. 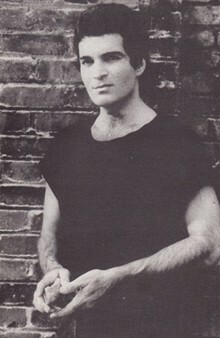 Throughout his career, Vannelli’s brother Joe has been there to help out by acting as co-producer and arranger, as well as contributing most of the keyboard work. “Joe and myself have a healthy relationship. He does what he does, and I do what I do, and together we are a team”. Besides Joe, others joining Vannelli on his tour include Enzo Tedesco on drums, Mike Miller on guitar, and background vocalist Maxayne Lewis. As the conversation continued, I asked Vannelli about his family and if he found enough time to spend with his four-year-old son while recording. “I’ve been devoting as much time as I can to my family. It’s certainly a different perspective on life having to take care of a little boy instead of spending hours at the piano. You find as you get older, and you get more people in the household, time management becomes the essence of existence,” Vannelli answered. While L.A. has been Vannelli’s adopted home for 12 years now, he plans to move his family to the northwest at some point, as he finds himself tiring of the smog and congestion. He also hopes a move will inspire ‘a birth of creativity”. At some point in the conversation, we started to discuss the current music marketplace. I was curious as to his thoughts on what was being produced today, and if he had any specific artists that he preferred to listen to. A lot of Vannelli fans of the 70s developed a taste for his inventiveness. As the 80s approached, his music began to progress in different directions, and some of his older fans may have felt left out. “The physical universe depends upon change. Everything atomically is moving. If an artist keeps repeating himself and doing the same kind of stuff, it becomes very hard to handle,” Vannelli explained. “To me, “Black Cars” is fun to do, and something like “Wild Horses” I’ve never done before. So whether some of the things I’ve done is everybody’s cup of tea will be up to them. You can’t be all things to all people all the time”. That doesn’t mean any of his older fans should despair. In his live performances he will span his whole career, going right back to the very first work he ever recorded. Vannelli assures us that his band is a very tight, skillful, and entertaining unit. Since Vannelli hasn’t released a record since Big Dreamers Never Sleep (which was three and a half years ago), he is very excited to get rolling again. With his new single, “The Time Of Day”, receiving such excellent response from the radio stations, it would appear that Gino Vannelli will continue to receive the respect he deserves well into this decade. And that was the article. So there you have it … The title of this post was taken from a song of Gino’s from 1991’s Inconsolable Man. I never forgot his kind words of encouragement… I wanted to mix a bit of the past with a some of the new and create a unique updated article that honors this great artist. I hope you enjoyed the journey… Thanks Gino. Last but not least, I would not have the opportunities that exist today if it weren’t for my family. Their love and support is truly my driving force… Since my heart attack last fall I have now shed over 50 pounds. Thanks to TBBW, I’ve been eating great and exercising. And I feel fantastic! Now forgive me as I must prepare the evening I owe TBBW for finding the above article. I will post updates in the comments below. But before I go … I have to ask you… Do you have any Gino Vannelli stories or relate any of Gino’s music to times in your life? Please feel free to send your comments below. Is he still in the Neatherlands? Touring? Thanks for commenting. Let me know if there are any concerts of his that you will be attending. Thanks for the post. I am a longtime Gino fan, and my first Gino show ever was the Inconsolable Man tour. I always find him to be passionate, expressive and thought-provoking. I am always happy when others appreciate his unique gift.